As a physician you are inundated by companies every day trying to sell medical marketing services, promising to get your “website ranked to the top of Google.” What these companies are trying to sell you is search engine optimization, also known as SEO. As a medical professional (dentist, plastic surgeon, orthopedist, dermatologist, podiatrist, etc…) you may be thinking how can this help my practice? Well, I am glad you asked! First let’s discuss a few things to better help you understand the process of SEO. What is SEO, how does it work, and how can it help your business grow? We know this is Boring, so Call Us Today for Your FREE SEO ANALYSIS (904) 480-6395! SEO can be a difficult topic to explain since it is not something tangible. However, we are going to try and make sense out of it. Let’s start with a basic definition. SEO is the process of optimizing a website to get it ranked competitively on the search engines like Google, Bing & Yahoo. That is pretty basic, but what is the optimization part all about? Let’s think about the Search Engines (SE) in relation to your industry. As a physician, you have to be compliant with HIPAA requirements in order to continue to practice as a physician. Think of the Search Engines as HIPAA, they make all of the rules when it comes to search. Our job as a Jacksonville SEO Company is to make sure we follow those rules and utilize SE best practices so that your website is rewarded with increased rankings online. The search engines continue to become more sophisticated in how they rank websites. For instance, Google utilizes over 200+ ranking signals in their algorithm to rank websites organically. Think of ranking signals as “steps” that are needed in order to be compliant with the Search Engines rules. The more steps that are completed properly, the better placement you will receive. The Search Engines goal is to provide the user with the best experience and serve up results that most closely match the users query. However, SEO is not something that is static. The Search Engines continue to change the rules, which is why SEO is an ongoing process. As a Medical SEO Company in Jacksonville, our goal is to provide and maintain the best user experience for your end user helping you maintain visibility to promote your products and services. 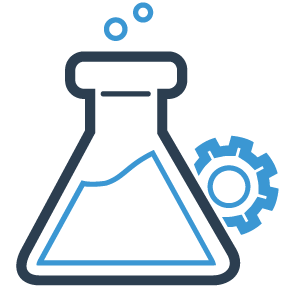 Regardless of the industry the core variables of SEO will remain consistent. 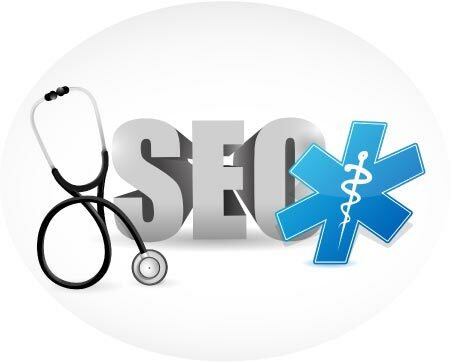 There are 3 core variables that we utilize for every Medical SEO campaign. 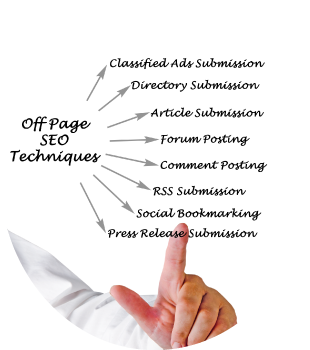 They are Technical SEO, On-Page SEO & Off-Page SEO. Each of these core variables has many sub variables that make up each one. To avoid boring you to death, we will stick to these 3 core variables. A well-developed website can make or break your business, and it’s essential to an SEO campaign. We speak with many physicians who don’t see the need or importance of upgrading or re-designing their medical website. We have trouble understanding that mindset. Take a step back and think about this logically. As a physician, you have spent a lot of money on your physical location making sure it is highly presentable to the patient when they walk in. You may have renovated the reception area, invested in expensive furniture or upgraded your examination rooms. You invested this money to invoke confidence, competence and professionalism. This especially holds true for Plastic Surgeons who are in the business of aesthetics, first impressions are everything. This same logic holds true to your website. Typically a consumer’s first interaction with your business is through your website. If your medical website is poorly constructed, all of the money you invested into your physical location is irrelevant because your digital office just lost you the opportunity to capture that patient. Do you have any broken pages (404 errors)? Do you have any broken links or images? Do you have any W3C errors? Is your sites load time slow? How is your websites structured data (Schema Markup)? Do you have any duplicate content on the website? If your website has many of these issues, your first priority is to get these problems resolved. Site architecture is the foundation for the other core variables of SEO that will be performed. By far the most important aspect of SEO is content. A well written website will not only serve you well with your patients, but it is a HUGE ranking signal for the search engines. If you have poor or limited content your website will suffer, in both rankings and consumer engagement. This is where a lot of businesses owners’ attention is misplaced. Let’s look at the difference in the types of keywords, and then we can look at strategy. Short Tail Keywords: typically these are keywords with 1 to 3 keywords in the string (ex: dentist or cosmetic dentist). These keywords will drive a lot of volume and are highly competitive, but they typically do not have the best conversion rates. Long Tail Keywords: 3+ keywords in the string (ex: need an emergency dentist or laser teeth whitening prices). These keywords will drive less volume, are not as competitive, but will have a much higher conversion rate. Every client is different, but the end goal for every client is to drive high volume, relevant traffic to your website. Prior to starting any campaign we research medical related keywords for your specialty and start working on a strategy around getting you ranked for the most relevant terms. Based on our research we may implement a strategy that includes both short and long tailed terms. Quality Links is an essential part of the SEO strategy. Links refer to hyperlinks from 3rd party websites. It is critical to have these links from trusted pertinent sources. Good examples of quality sources are directories both national and local, medical associations, universities, news organizations and government entities. These links provide the tentacles of connections to your website. The more authoritative sources that you link too, the more link juice your website receives. Any website you link to should also have consistent information. The search engines use your NAP- Name, Address, and Phone as a trigger to determine trust. The search engines use the digital eco-system to help verify whether or not they should trust you as a business. If your listing information is inaccurate it makes the search engines look bad and their goal is to provide a quality user experience. If your information provides a negative result you can be penalized by Google.